(Call For Lease Price!) 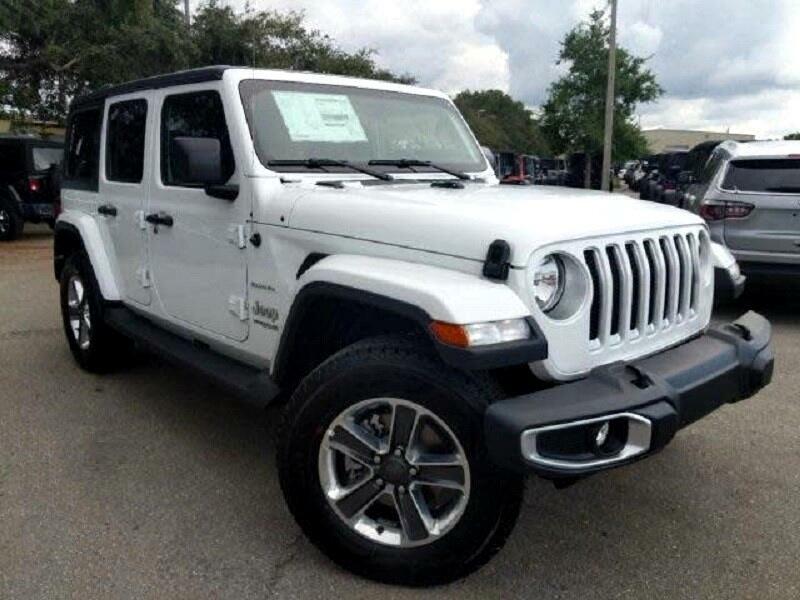 Lease New 2019 Jeep Wrangler Unlimited Sahara For 36 Months, 10,000 Miles Per Year, $0 Zero Down. 4-wheel ABS Brakes ABS and Driveline Traction Control, AM/FM/Satellite-prep Radio, Audio controls on steering wheel, Audio system memory card slot, Auxilliary engine cooler, Black styled steel rims, Body-colored gril, Braking Assist, Bucket front seats, Clock: In-radio display, Cloth seat upholstery, Coil front spring, Coil rear spring, Compass, Convertible occupant rollover protection, Cruise control, Cruise controls on steering wheel, Digital Audio Input, Dual vanity mirrors, External temperature display, Fold forward seatback rear seats, Front and rear suspension stabilizer bars, Front fog/driving lights, Front reading lights, Front Ventilated disc brakes, Fuel Capacity : 21.5 gal., Fuel Consumption: City: 17 mpg, Fuel Consumption: Highway: 23 mpg, Fuel Type: Regular unleaded, Headlights off auto delay, Instrumentation: Low fuel level, Leading link front suspension, Manual convertible roof, Manual driver mirror adjustment, Manual front air conditioning, Manual passenger mirror adjustment, Manufacturer's 0-60mph acceleration time (seconds): 6.9 s, Max cargo capacity: 72 cu.ft., Metal-look center console trim, Metal-look dash trim, Non-independent front suspension classification, Passenger Airbag, Power steering, Privacy glass: Light, Radio Data System, Rear seats center armrest, Rear Stabilizer Bar: Regular, Regular front stabilizer bar, Rigid axle rear suspension, Side airbag, Spare Tire Mount Location: Outside rear, Speed Sensitive Audio Volume Control, Split rear bench, Stability control with anti-roll control, Steel spare wheel rim, Suspension class: Regular, Tachometer, Tilt and telescopic steering wheel, Tire Pressure Monitoring System: Tire specific, Total Number of Speakers: 8, Trailing arm rear suspension, Trip computer, UConnect w/Bluetooth wireless phone connectivity, Urethane shift knob trim, Urethane steering wheel trim, Variable intermittent front wipers, Vehicle Emissions: ULEV II, Video Monitor Location: Front, Wheel Diameter: 17, Wheel Width: 7.5, 1-Yr Siriusxm Radio Service, 50 State Emissions, 7.0' Touchscreen Display, Air Conditioning W/Auto Temp Control, Air Filtering, Apple Carplay, Automatic Headlamps, Cloth Low-Back Bucket Seats, Cluster 7.0' Tft Color Display, Cold Weather Group, Convenience Group, Deep Tint Sunscreen Windows, Engine Block Heater, Engine: 3.6l V6 24v Vvt Upg I W/Ess, Front 1-Touch Down Power Windows, Google Android Auto, Gps Antenna Input, Heated Front Seats, Heated Steering Wheel, Hill Descent Control, Integrated Center Stack Radio, Leather Wrapped Steering Wheel, Power Heated Mirrors, Quick Order Package 24s, Radio: Uconnect 4 W/7' Display, Remote Keyless Entry, Remote Start System, Security Alarm, Siriusxm Satellite Radio, Speed Sensitive Power Locks, Sun Visors W/Illuminated Vanity Mirrors, Technology Group, Tip Start, Transmission: 8-Speed Automatic, Tubular Side Steps, Universal Garage Door Opener, Usb Host Flip, Wheels: 17' X 7.5' Tech Silver Aluminum.